We Take Care Of All Your Bathroom Plumbing Needs. Your Kitchen Is Very Important. Our Plumbers Are True Experts. Finding reliable plumbers in London can often be hard. You want assurances that they can carry out professional work. If you choose wrongly, then you could be left with faulty work and a very large bill to fix it. Trustworth is a highly experienced plumbing company with expert plumbers, who take pride in their work. Our plumbers are friendly, dedicated and professional. They have full qualifications and vast experience in every aspect of plumbing work. No job is too big or small for our team to handle. We are transparent when it comes to our prices. So you will know how much a job costs before we start any work. There are absolutely NO HIDDEN CHARGES. We often give a fixed term guarantee on all work conducted. This offers you peace of mind. We have a fast response team that can respond 24-hours a day to emergencies. Our plumbing engineers are not intrusive and carry out work with minimum mess. Our aim is to leave your property tidy and make sure that every task is fully completed, to your satisfaction. ABSOLUTELY NO HIDDEN CHARGES / COSTS. FULLY QUALIFIED PLUMBERS. TRANSPARENT PRICES. Why Use Qualified Plumbers? - A look at the importance of using a fully qualified plumber. Do all plumbing tasks require a professional plumber to carry them out? How Much Does A Plumber Cost? - How much do plumbers charge in the UK? Also read a small guide to prices for various plumbing jobs. How To Find Good Plumbers - Where do you find a reliable plumber these days? This article discusses how and where to find good plumbers. Why Hire A Plumber? 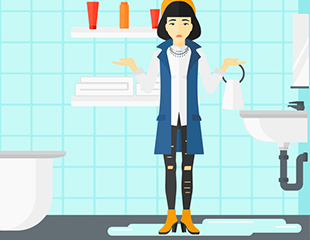 - When do you need to hire a plumber? Is it when you need your tap fixed or when a water pipe bursts? 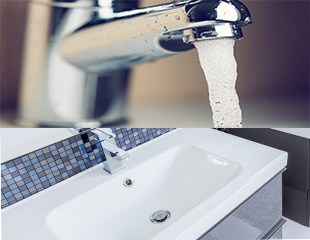 Whether it is just a leaky basin tap, a loose bath panel or a full bath installation - we can fix them all. Your bathroom is a vital room in your house. You want to make sure that anything that has a problem or breaks, can be fixed professionally. If you need a bathroom suite installed, you'll want everything fitted to perfection. You may have luxury taps, basins or baths that you want to be installed. Trustworth makes you a promise that your vision is expertly delivered. Luxury - installed by experts. Your kitchen is a room that gets used many times throughout the day. 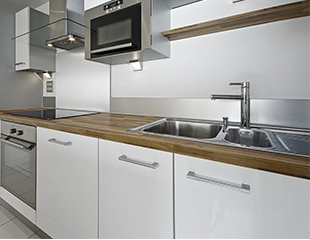 It is vital that all your appliances are fitted correctly and by a professional. We can install dishwashers and washing machines. Your old one will be taken away by us and recycled (if possible). If you have a leak or want new sinks, taps or piping fitted - call our team. Any blockages incurred will be a thing of the past. We always carry out work with an aim of looking after your needs for the future. A pipe has burst and you are not sure what to do. Water is flooding the bathroom or kitchen and you start to panic. Call Trustworth immediately on 07951538977. Our 24 emergency plumbing team can arrive quickly. We quickly assess the situation and carry out the best solution for you. Your safety matters to us as well and we will advise on any extra special measures if needed. We don't just offer temporary fixes. The aim is to prevent anything bad happening again..